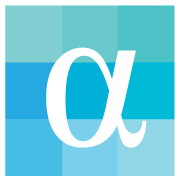 Alpha is a testing platform that our clients use to answer key questions about their products, users, and competitors. Key questions go into our platform, and user insights that answer these questions are created and delivered in 1-3 business days. User insights are created by analyzing a combination of in-person interviews, remote interviews, and surveys designed to answer our clients' questions. Using visuals as test stimuli improve the quality of the insights, allowing us to provide better answers for our clients. Please read this article on rapid prototyping before accepting your first assignment. Any more questions? Please read our FAQs.